There is so much fun to be had – you may never leave! 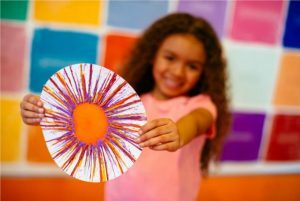 At Crayola Experience Orlando, kids can fully engage in interactive experiences with all things Crayola. 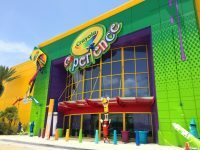 The Crayola Experience has 26 hands-on attractions within 70,000 square feet. Kids will be easily entertained for hours at this family-favorite destination for fun, interactive and creative play. Kids can go wild at the Crayola-inspired indoor playground, customize the label and wrap their very own crayon, create and cut out their very own puzzle and so much more! Create a swirly-whirly masterpiece with melted wax. This Crayola-inspired indoor playground that has kids climbing, sliding and burning off excess energy. Kids can star in their very own coloring page. How cool is that?! There are even more fun attractions that will wow your kids. There is also a Café Crayola so you catch a bite to eat and if you ever want to host your child’s birthday party, they have birthday rooms available as well. Daily, 10 a.m.- 8 p.m.
Click Here to Save $5.00 OFF General Admission!